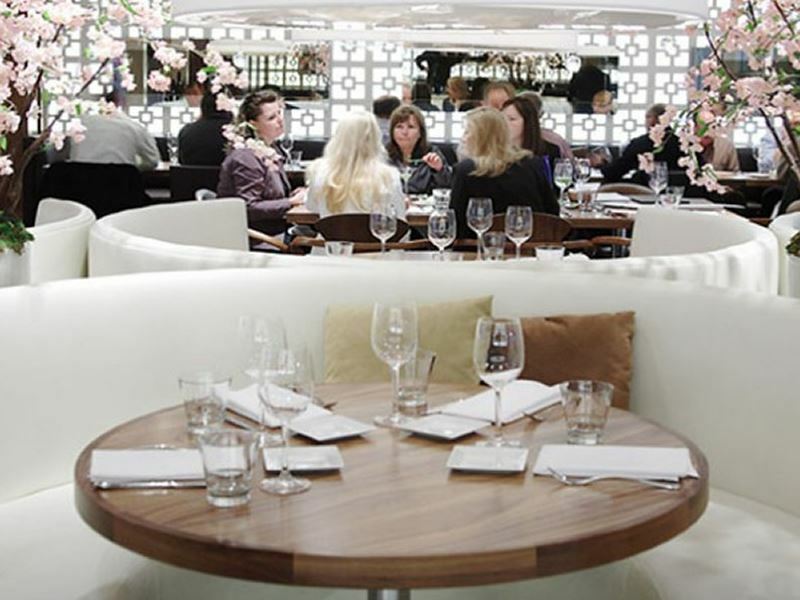 Calgary is a buzzing metropolis with absolutely no shortage of fine dining restaurants. Whether you’re searching for a generous cut of pure Alberta beef, some Asian-inspired raw seafood, an exciting vegetarian meal or something definitely gluten-free that’s still loaded with flavour, this city has it all. 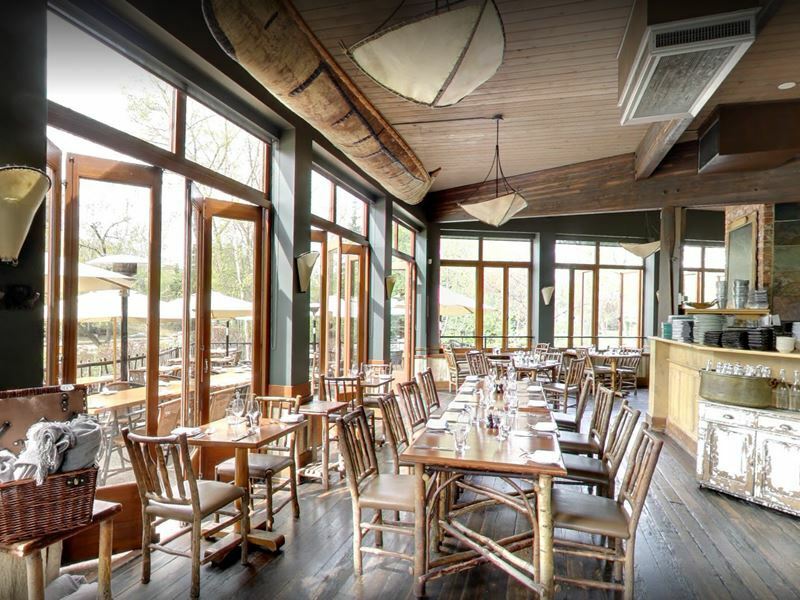 Some of the restaurants on this list have been completely revamped and renovated, with fresh new interiors to match their impressive contemporary menus, while others have taken advantage of the original décor and used it to create a dark and moody vibe in which to enjoy more traditional fare. But whatever your mood is and whatever your stomach’s hungry for, you’ll find it at one of these top 10 restaurants in Calgary. The scene: Catch & The Oyster Bar isn’t your typical seafood restaurant. 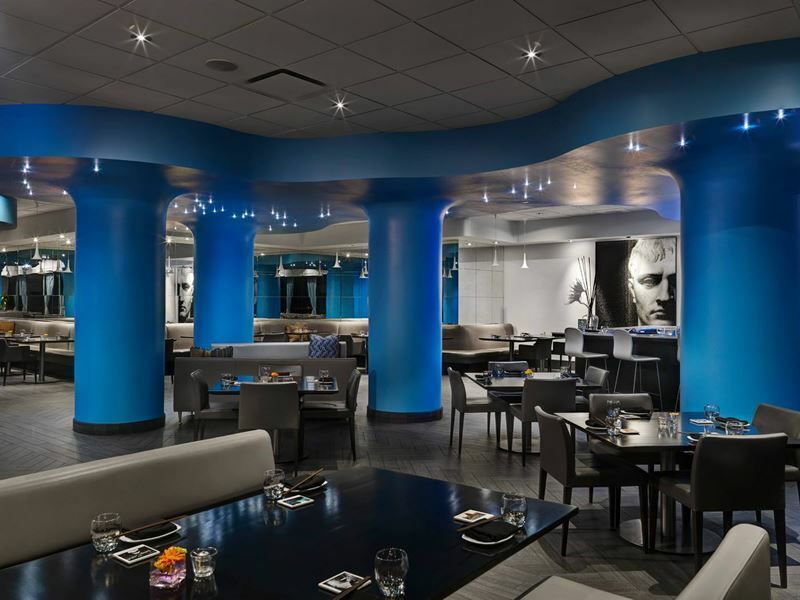 Divided into two distinct spaces, this eatery is comprised of the comfortable, vibrant Oyster Bar on the lower floor and the urban, upscale Catch restaurant on the upper floor. 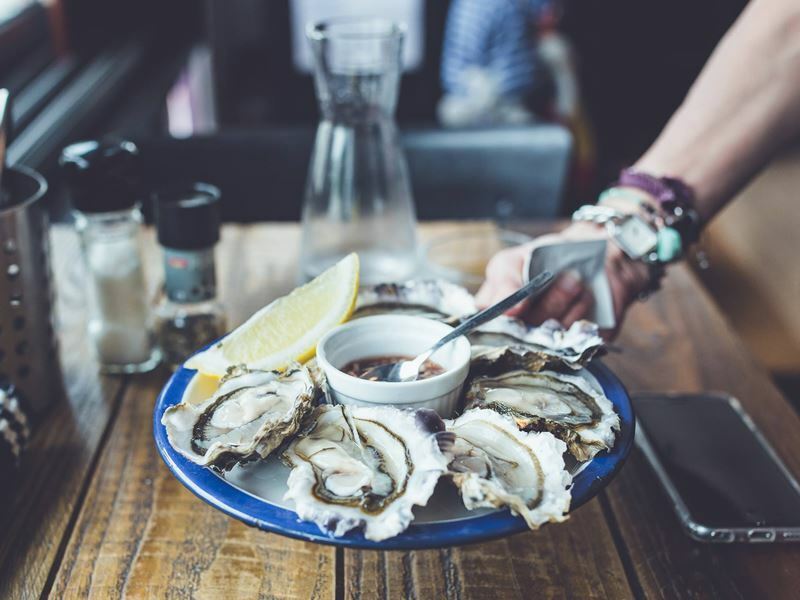 A delectable blend of old and new, both restaurants combine rich historical architecture with recently renovated cutting-edge design, creating the perfect environment for indulging in fresh oysters, seafood and fish. But that’s not all you’ll find on the menu. Dining options include everything from delicate tuna tartare, crispy crab cakes and plentiful seafood platters to fried chicken with chorizo gravy, vegetarian risotto primavera and their hearty take on surf and turf: AAA Alberta striploin steak served with buttery Nova Scotian lobster. Both restaurants participate in Oceanwise and therefore offer plenty of fish and seafood sourced from sustainable fishermen and suppliers. Paired with the best fresh, local and organic produce the chefs can find, these star ingredients are used to create excellent seasonal dishes designed to please everyone’s palate. Signature dish: Wonton-crusted tempura prawns served with cool togarashi mayonnaise. The scene: A reflection of the personalities that conceived it, Model Milk was built around a series of conversations that threw all the preconceptions about what a “good” restaurant should be out the window. Instead, the founders focused on what they loved about restaurants and the exciting venue they had, creating a restaurant where you can experience rustic-chic Canadian food that is both classic and original, as well as innovative and comforting all at the same time. The chefs only source high quality, local ingredients and prepare them simply, allowing their honest flavours and textures to shine. The menu features a small number of consistent signature dishes, like the Model Milk burger served with house-cut fries and the whole-roasted Ikejime sea bream with burnt lemon, along with seasonal specialities for something a little different. Just like the food encourages local farms and fisheries that use sustainable and responsible methods, so does the wine support local vineyards that practice organic, bio-dynamic wine making for a 100% ethical and eco-friendly dining experience. Signature dish: Model Milk fried chicken served with Ryan’s buttery biscuits, a crisp wedge salad and sharp pickles. The scene: Hotel Arts’ award-winning restaurant, Raw Bar recently underwent extensive renovations and reopened with a vibrant Vietnamese theme and a fresh, modern look. The menu at this seafood restaurant truly celebrates Vietnamese heritage, with a handful of contemporary influences sneaked in here and there which they call “Vietmodern”. These new and exciting dishes have been carefully crafted to pair perfectly with the creative cocktail list which incorporates everything from the classic martini to the alcoholic bubble tea version 2.0. The menu is divided into small and large plates which cover a wide variety of fish, seafood, meat and vegetarian options. From the delicate crab and mango salad roll to the value-for-money family collection featuring the chef’s selection of seven different enticing menu items, Raw Bar is the ideal place to go whether you’re in the mood for a light bite of a king’s banquet. Signature dish: Heritage beef carpaccio served with red onion, Thai basil, chilies, spicy peanut and citrus nuoc cham. The scene: CHARCUT Roast House is an inviting and memorable gathering place, buzzing with spontaneity and high energy. The name is a reflection of urban rustic cuisine: CHAR referring to the custom-built char boiler and CUT connecting with the vintage-style hand-crafted charcuterie bar. 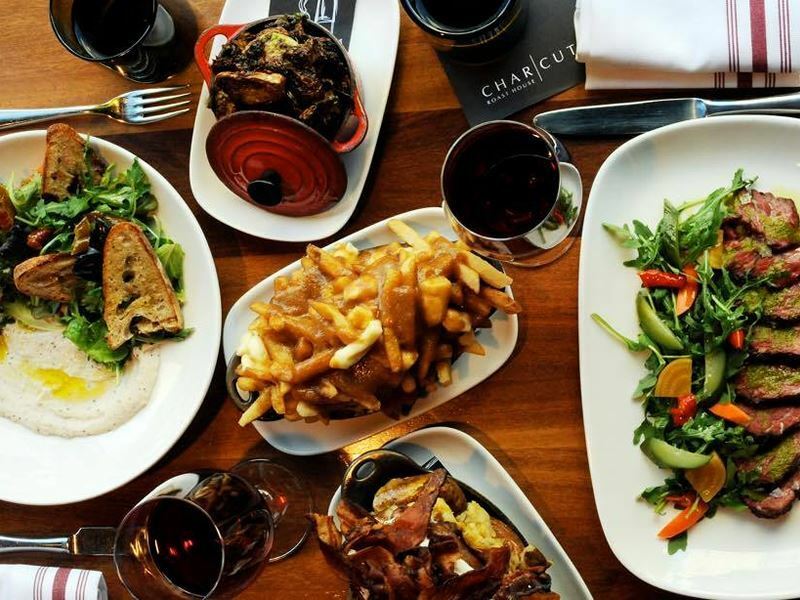 CHARCUT’s local chef-driven cuisine features tell-tale French and Italian influences, with ingredients sourced from small artisan farmers and ranchers and herbs freshly harvested from the restaurant’s own garden. The lunch and dinner menus change seasonally to make the most of fresh produce. 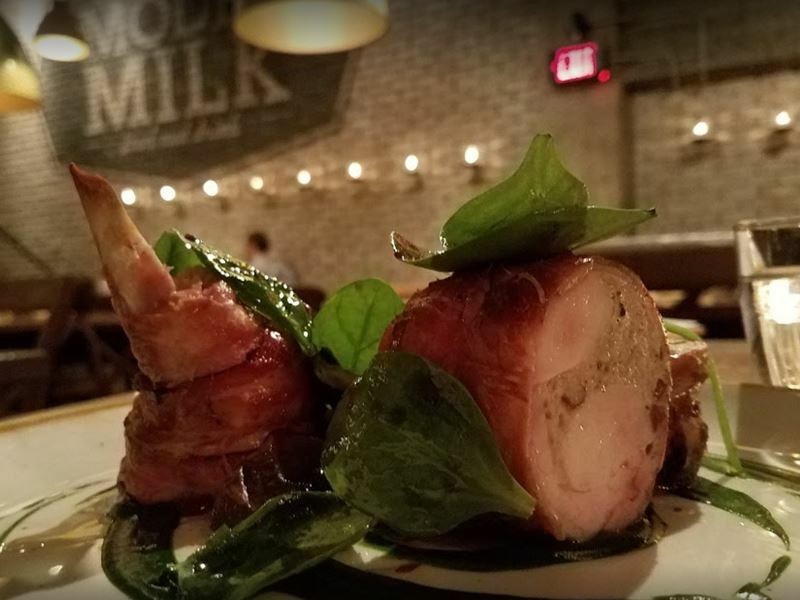 But there’s always an impressive selection of small plates, large plates and side dishes, along with garden-fresh salads, charcuterie platters, cheese plates and house-made desserts. To complement the dining experience, CHARCUT offers an ever-evolving selection of wines and craft beers, showcasing many rare finds, exclusive productions and impressive New World varieties. Back-to-basics cocktails, hand-crafted with freshly-squeezed juices, organic ingredients and premium spirits are also available at the bar. Signature dish: Pig head mortadella served with pistachios and truffles. The scene: Dedicated to sourcing the finest tasting local ingredients each season, River Café connects directly with producers and growers at their ranches, farms and gardens to ensure their wholesome ingredients are the highest quality they can be. 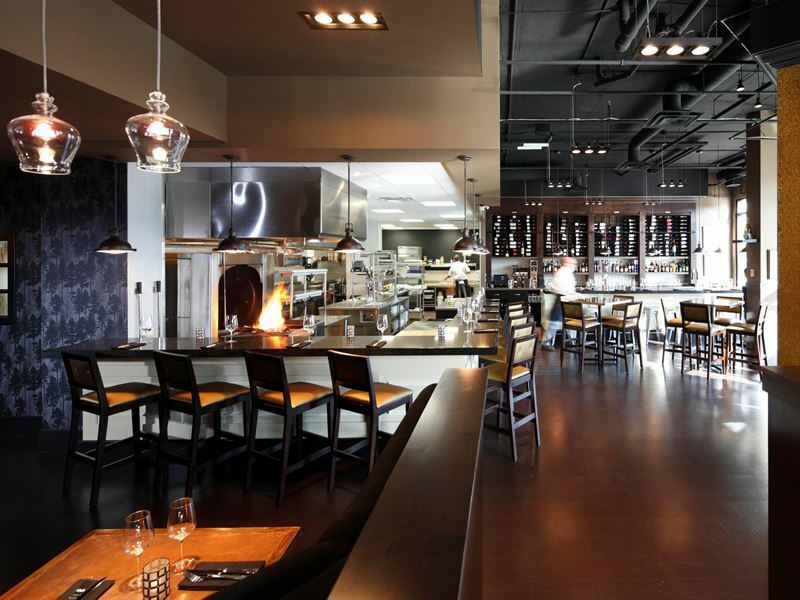 The restaurant’s casual Canadian style of cuisine is deeply rooted in praising simple meat, fish and produce, but each element is transformed significantly by the innovation and artistry of the accomplished culinary team and the orchard wood-burning grill which is at the heart of the kitchen. The menu changes frequently according to which ingredients are at their peak of freshness, but you’ll always find artisan sourdough bread baked daily, smoked cuts of quality meat, oven-roasted fish and a sampling of vegetarian options, alongside a host of desserts and pastries made in-house with house-churned butter gracing the menu at any time of year. Signature dish: The signature chef’s tasting menu; a medley of six seasonal courses with optional wine pairing. The scene: Inspired by the backgrounds and travels of joint chef and owners Uri Heilik and Rogelio Herrera, Alloy serves up an exciting fusion of Mediterranean, Latin and Asian flavours in warm and inviting surroundings. The restaurant’s décor has a definite Japanese feel to it, with cherry blossom trees, bright pink trellised walls and pale bamboo woodwork, but one look at the menu reveals that the cuisine here extends far beyond standard Asian fare. Although the lunch and dinner menus do change seasonally, there is always a decadent selection of vegetable-based soups and salad starters; fish, seafood and meat light bites, including the ever-popular pork belly with a barbeque and mustard glaze; and tempting all-encompassing main courses, such as the arctic char served with smoked paprika roasted potatoes. To make your dining experience even better, Alloy is part of the Mealshare programme which means that for every Mealshare menu item you order, the restaurant will give one meal to someone in need. Signature dish: Vanilla-braised beef short rib served on a bed of parmesan cheese risotto with roasted seasonal vegetables. The scene: Set in the heart of downtown Calgary on the historic Stephen Avenue, Blink Restaurant & Bar takes diners through a culinary journey that inspires all the senses. From the moment you step through the front door and admire the rough, exposed brickwork to savouring the final bite of your decadent chocolate dessert and inhaling the aroma of strong espresso as the waiter approaches your table with your coffees, everything about Blink Restaurant & Bar is simple, vibrant and delicious. The rustic 19th century building that houses the restaurant has been converted into a truly contemporary fine dining establishment, complete with open concept kitchen and chic bar with additional seating. 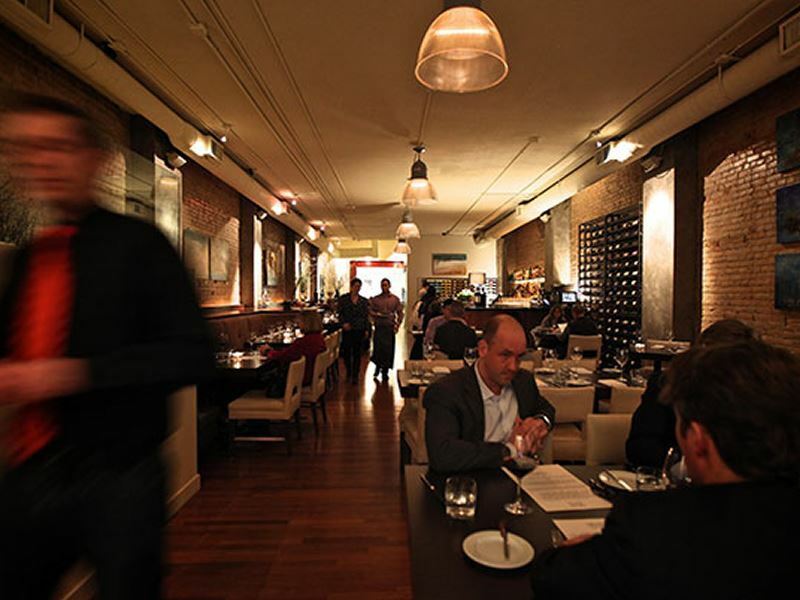 The menu features mainly contemporary Canadian cuisine, with dishes such as hanger steak with pearl onions and lamb leg with root vegetables, with a few nods to international fare, such as the Spanish “croquetas” with Manchego cheese and the French “millefeuille” dessert with caramel apple ice cream. 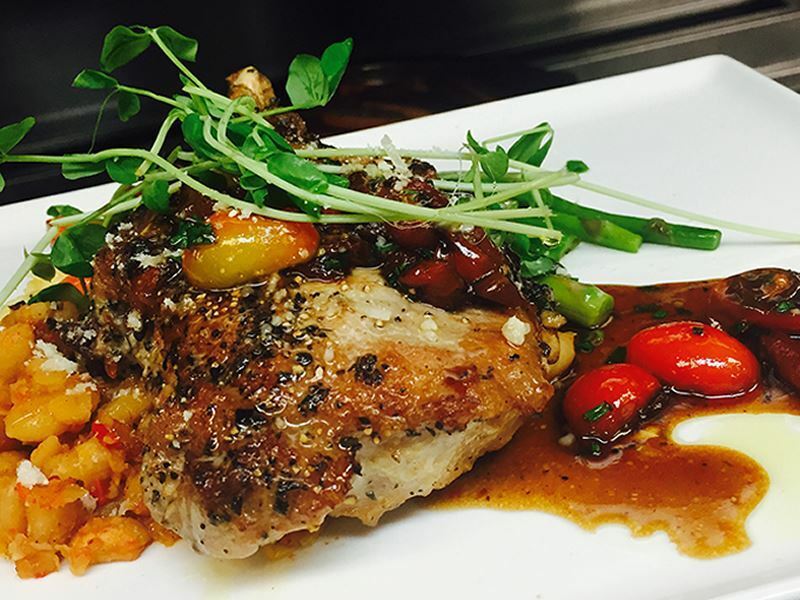 Signature dish: Double duck; fall-off-the-bone duck confit served with a roasted duck breast with crispy skin. The scene: Turn up hungry and leave well-fed, feeling pretty great about the world. This is what happens every time you dine at NOtaBLE. This modern, progressive restaurant is all about brightening up your day and spirits with delicious food, friendly smiles and efficient service. The team behind the restaurant do this by approaching every aspect of their work with love; from preparing the food to greeting guests and even working with selected local farmers who produce the best seasonal ingredients. 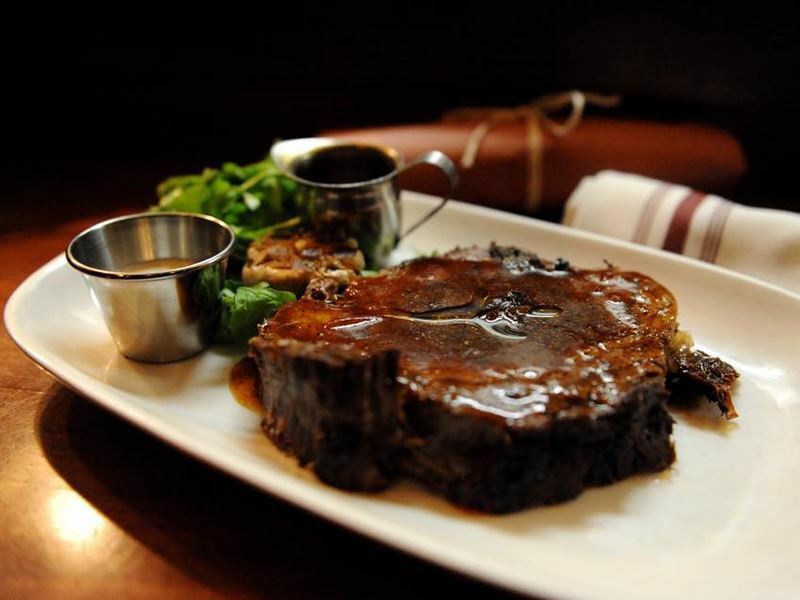 NOtaBLE specialises in inventive Canadian cuisine served in generous portions and made entirely in-house. Classic dinner items such as the lamb sirloin with mint couscous and organic salmon with confit potatoes are all sophisticated in taste, while still being comforting in familiarity. If you haven’t got time to sit down to dinner, NOtaBLE also offers a to-go menu, with a selection of their most popular dishes from the rotisserie and grill cooked fresh to order and wrapped up for you to take home or on the road. Signature dish: Rotisserie NOtaBLE half chicken served with buttermilk pomme purée and a smoky chicken jus. 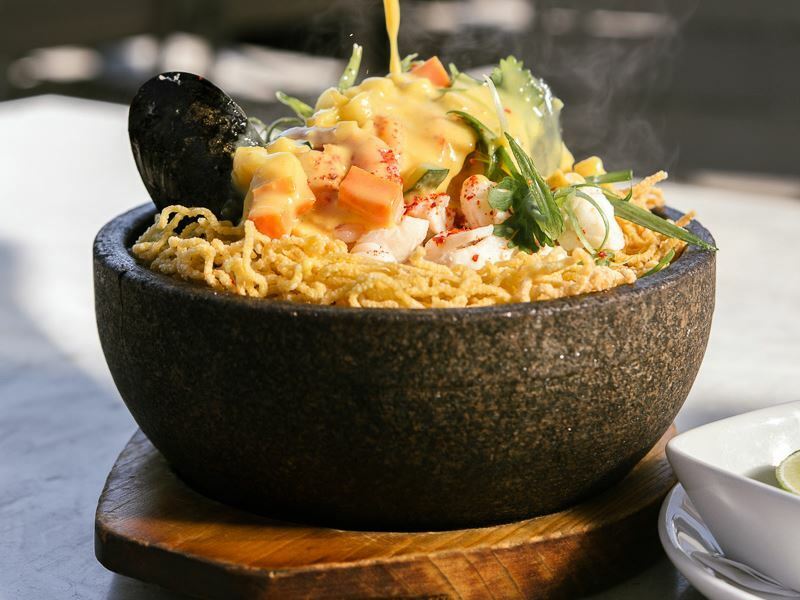 The scene: The owner and award-winning chef at Anju livens up traditional Korean cuisine with his dazzling modern menu which includes a thrilling assortment of Korean-style tapas. The name of the restaurant translates into English as “food you eat with alcohol”, which is the focus of what he serves. Although a meal at Anju is certainly a fine dining affair, it’s got a much more relaxed, fuss-free atmosphere to it, helped by the open kitchen which lets you watch the culinary masters work their magic. The menu chiefly showcases the variety of flavours and ingredients traditionally used throughout Korea, blended with a touch of Canadian influence, modern cooking techniques and unique ideas. From the elegant offerings of the raw bar and the authentic rice and noodle dishes to the contemporary spicy salty drinking plates and inventive meat and seafood dishes, there’s so much going on in the menu you’ll want to read it from start to finish like a good novel. Signature dish: Maple Hill chicken wings coated in your choice of gochujang, buffalo gochujang, kabayaki or ginger lime sauce. The scene: A modern bistro serving cutting-edge interpretations of Italian and French cuisines in a romantic red and black dining room, Vero Bistro Moderne is the ideal place to spend date night. The chefs at this gourmet eatery strongly believe in the importance of fresh, healthy food and in supporting the local community, which is why they make such an effort to source as much organic produce and ethically-farmed fish and meat as possible. The dinner menu is made up of a small collection of antipasti designed for sharing, followed by fresh pasta, meat and seafood. Classic items such as house-made veal meatballs and steak frites appear on the menu, but each one has a contemporary twist to take it to the next epicurean level. In these instances, Berkshire pork ragu that makes the meatballs is slow cooked for 12 hours and the 28-day aged steak is smothered in chimichurri butter. Signature dish: Organic egg benedict for brunch; served with one poached organic vita egg, hand-whipped hollandaise, freshly baked pastry, Hotchkiss pea shoots and your choice of wild boar bacon, jumbo prawns, smoked Wild Sockeye salmon, Montreal smoked meat or forest mushrooms.